Buy From A Christian, LLC. Before I became a contractor for bfac, I was working pro bono, and my first major contribution was writing the front end code of this design from 2008. The developer before me was better at back end coding, so I was asked to see what I could do with the Photoshop mock up. A day later, said developer had a sizzling hot HTML file ready for deployment. A drastic overhaul was performed in the Summer of 2010, and some 600+ files had to be updated to fit the new design. I was doing this pro bono at the time on top of my full time job, so the process took about four months to complete. One of the reasons it took so long was the creation of a new advertising system in ColdFusion that used geotargetting. 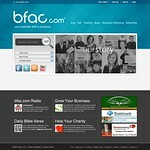 Just when things were about to be wrapped up, we acquired bfac.com and the site needed to be re-branded. Hilarity ensued. 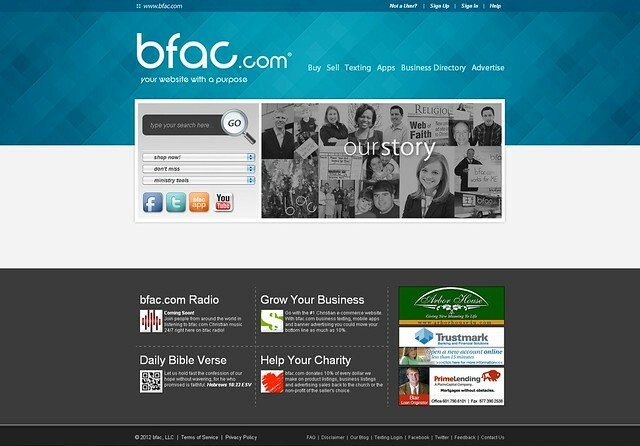 Before Buy From A Christian moved their texting service into a separate business entity, buyfromachristian.com and bfac.com were one and the same. The 2012 design was the last update where both domains used the same design. CollegeGarageSale.com was launched with an emphasis on marketing to college students that have stuff to sell, while also being able to support their school. While nearly identical in function to bfac.com, there is also a textbooks area where you can get prices on books you want to buy or sell. A subsidiary of bfac, Texting Leader provides a means of providing bfac's business texting services for companies that may hesitate to work directly with a faith-based organization. A bare bones PHP site that I built in a few hours once the mock up was finalized. Another subsidiary of bfac that caters specifically to Republican politicians. 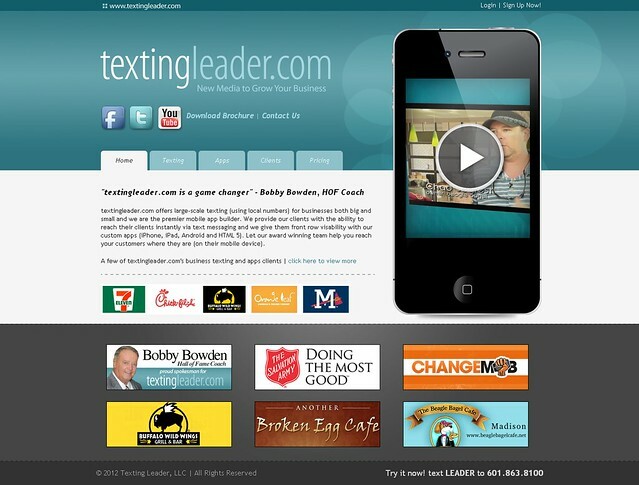 Built just like TextingLeader.com due to the site's limited nature. Yet another subsidiary of bfac with a catering Democrat politicians. Built in the same manner as TextingLeader.com. 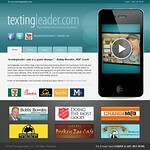 Mobile Inspiration was started as a means to deliver daily Bible verses to people via text messages. 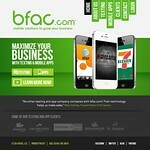 When bfac partnered with them, both sides agreed that a new site was needed. After the graphic designer completed the design, I took the mockup and worked my front end magic. There are some things I would have done differently when putting it together, but it was a rush job, it worked and the decision makers were happy. Still, I am not totally satisfied with my work there.